For the 2016 exhibition “Goudron Pressage . Sillon Tympan” at the Centre Georges Pompidou, Blanquet created half of the music and, for the other half, invited musicians and artists to participate by including their music in the main sound installation. 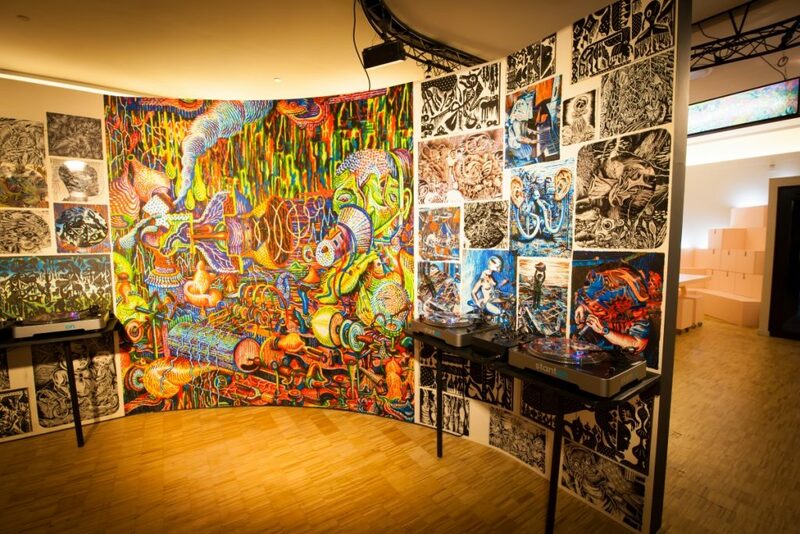 The public could listen and mix music by The Residents, John Zorn, Mike Patton, Ikue Mori, Toshi Ichiyanagi, Pierre Bastien, John Duncan, Lydia Lunch, Robin Rimbaud – Scanner, David Toop, Emmanuel Dilhac, Marie Lisel, Mr Pimpant, les Choolers, Jean-Luc Terminarias and even some music created by Jean Dubuffet. 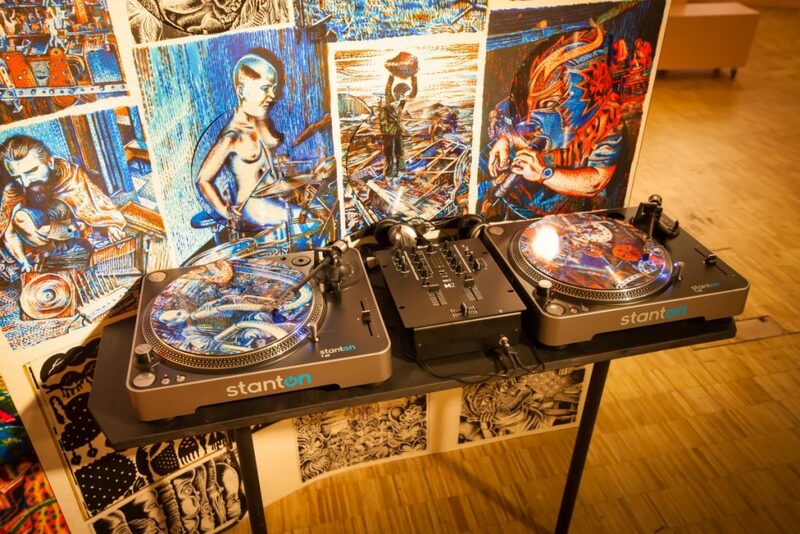 The installation consists of 40 different picture discs, 4 turntables and 2 mixers. The picture discs are made with reproductions of artworks by blanquet and hung on a wall on front of a large print-out of a selection of drawings by Blanquet.